Baby Deedee has so many amazing items for toddlers and babies for Valentine's Day Gifts! Baby Deedee offers everything from sleep bags, to pajamas and bedding. Their pajamas are perfect for gifting! I love the quilted sleepsie. It is footed and designed with breathable cotton so that your baby will not get too hot. It is always a challenge for me to keep Sierra in her pajamas. She can't stand for anything to touch her and is two so she can actually take anything off she wants. 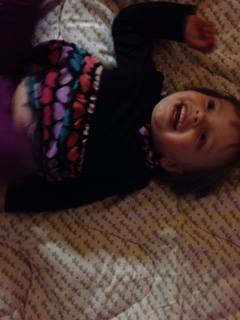 The zipper feature on the sleepsie quilted makes keeping her in easy and changing diapers a snap. Sierra's favorite thing is blankets though. 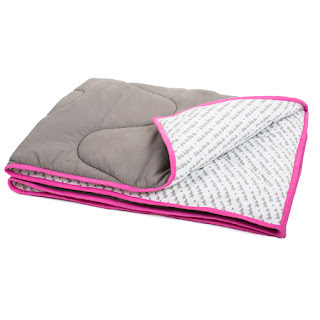 We were able to try the Slate Sleep Quilt pictured below. Sierra loves it! It is warm and cozy. It is also perfect for her size. She carries her blanket all over the house and loves it. She uses it for tea parties, naps and even makes tents for her baby dolls with it. I love the slate color it doesn't show dirt or stains. I would recommend Baby Deedee to anyone it is lovely!